Here's my Rocktober Mixtape! 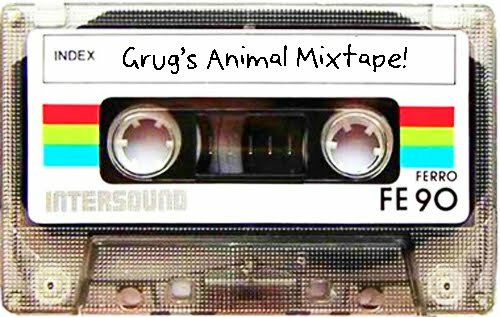 I went with a silly theme (I went with songs with animals in the titles) - I needed something to whittle down the bands I would want to include. Even still, I went a little on the long side. But it's all fun stuff! Give it a listen! Let me know what you think! 18. A Sky For Shoeing Horses Under - Why? 23. OLD SCHOOL HIDDEN TRACK. Did I miss any great songs with animals in the title? Yes - I had to narrow this list down from, like, 80 songs! Post your favourites in the comments! Jacinta's mixtape of Guilty Pleasures is here, and keep an eye on the site for more mixtapes throughout Rocktober, right here at Fruitless Pursuits! I haven't made it to the hidden track yet, but it better be "Who Let The Dogs Out". Well played with the hidden track!